I will post worldwide, where possible. 17 cones, colours as per photo. Good quality yarns. Suitable for machine knitting on a standard gauge knitting machine. Could also be used for hand knitting. The total parcel weight is appoximately 10kg (including cardboard box and cones). 13 cones, colours as per photo. Good quality yarns. The total parcel weight is appoximately 6kg (including cardboard box and cones). Suitable for machine knitting on a standard gauge knitting machine. Could also be used for hand knitting. The total parcel weight is appoximately 7kg (including cardboard box and cones). 11 cones, colours as per photo. Good quality yarns. The total parcel weight is appoximately 4kg (including cardboard box and cones). The total parcel weight is appoximately 5kg (including cardboard box and cones). 14 cones, colours as per photo. 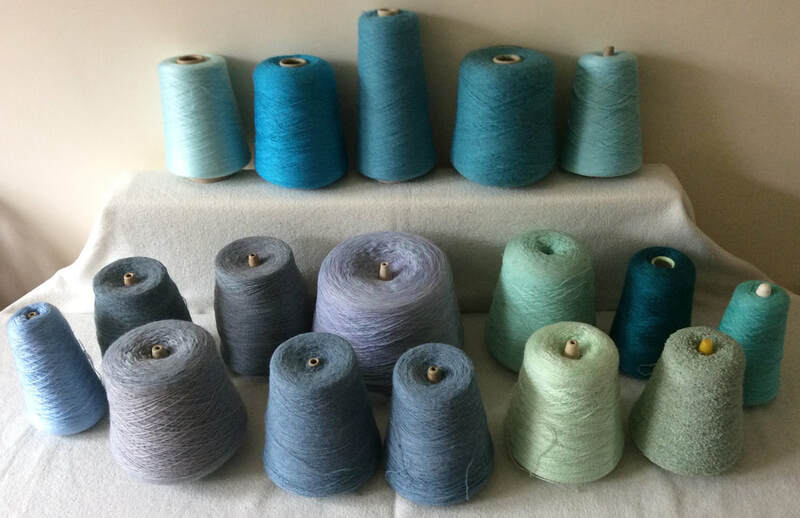 Good quality yarns. which can be knitted as multiple strands together to create thicker fabrics. Very good for any machine knitters, including Passap or Pfaff machines. Approximate total weight, including cones and box is 9.5kg. Good quality knitting yarns on cones. Very good for hand or machine knitters. Several of these yarns could be knitted on a chunky knitting machine. They could also be hand knitted straight from the cone.